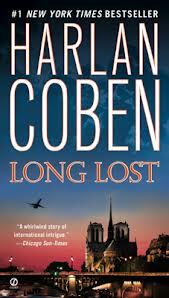 My Series Sunday pick is Long Lost, the ninth book in the Myron Bolitar series by Harlan Coben. Myron's ex-lover, Terese Collins, is back! She invites Myron to join her in Paris. Like the savior and pleaser he is, Myron hops on the next flight. When he arrives, Terese tells Myron that her investigative reporter ex-husband got in touch with her. He was on the verge of a life-changing revelation, but now Terese can't find him in Paris. The pair soon discover that her ex-husband is murdered. But who did it and why? 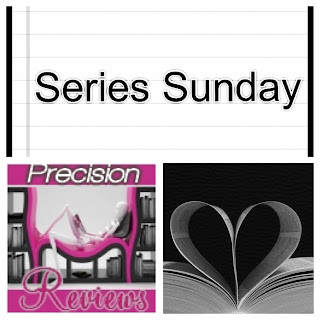 And what did her ex-husband recently discover that could change Terese's entire life? This ninth installment of the Myron Bolitar series is full of action, adventure, suspense, murder and revelations. I finished it in one sitting, frantically turning the e-pages as Myron frantically searched around Europe to solve the mystery. This is probably the shortest Myron Bolitar book, but it packs a punch in less than 200 pages. Don't skip this one, folks!